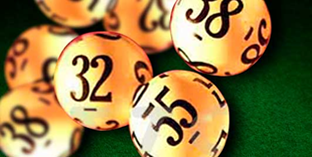 For every game there are countless number of strategies, Keno is no exception. Keno is a game of chance like lottery or bingo, so predicting the numbers is more difficult than with some other casino games. You can’t effect on the outcome, the only thing you can do is to select the right numbers. Anyhow there are some strategies on offer. Choose the right one for you! You should always familiarize yourself with a game before playing it. Get to know the rules of Keno before playing. If you are a novice with Keno, you should play the free play mode before investing real money in the game. When playing Keno you must decide how many numbers to play. The more numbers you pick the more money you can win. When selecting more numbers you are able to win more but you also have to get more hits in order to win anything. Playing with less will allow you to play longer but won’t give you those big jackpots. By studying the payouts you can get some ideas of how many numbers to play since it shows the most profitable strategies. After deciding how many numbers to play, it’s time to choose the actual numbers. The easiest way is to choose the numbers and always play with the same ones. Many select their lucky or otherwise significant numbers like birthdays or anniversaries. None of the numbers are better than the others and therefore you can really choose any numbers you want. Some believe that when it comes to choosing the numbers the play form should be used evenly; you should pick the numbers so that the form is used evenly and there would be a balance between the upper and bottom side. This has not been proven to work but it is one more Keno strategy to consider. Studying the previous outcomes of Keno can be a strategy as well. You can try to select the numbers that the Random Number Generator (RNG) selects more often and see if that strategy works out for you. When playing this exciting game you must remember that Keno truly is a game which outcome can’t be predicted. RNGs make it impossible to predict any numbers. Therefore there is no guarantee that any strategies will work. Play with consideration as Finnish people would do. You should always put aside the money you are really willing to play with and not go further than planned. When starting with a new game, you should always start small. It is always good to know when to stop and save some for another play day. Take your chances, most importantly have fun enjoying your Keno game and hopefully you will be the lucky one to win one of the greatest jackpots!